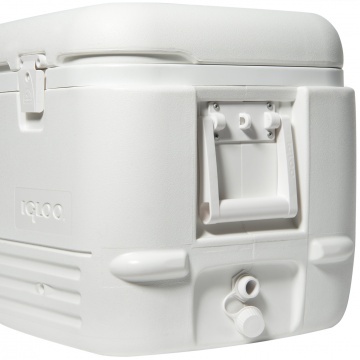 Igloo Quick Cool 100 QT Cool Box. 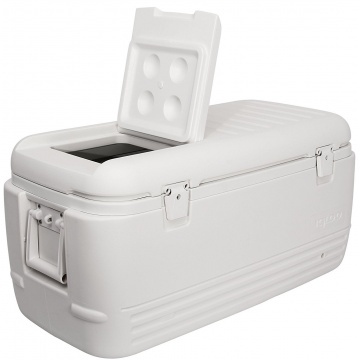 Keeps ice frozen up to 5 days. Surelock hinge design holds lid open for easy access. 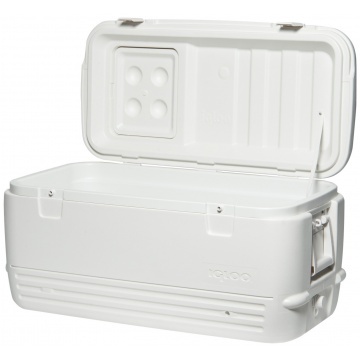 Insulation in both body and lid for maximum cold retention. Rust resistant threaded drain plug. Holds 145 x 330 ml drinks cans. Except for the colour the Igloo Quick & Cool 100 QT and the Igloo MaxCold 100 QT cool boxes are exactly the same. 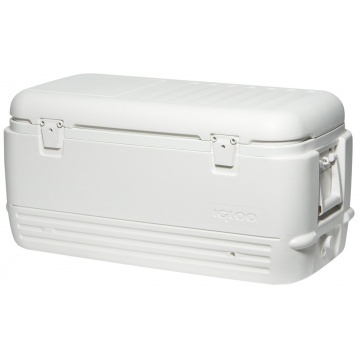 Igloo 120 QT large size cool box ice chest. Extra large cool box.